Well there is definitely a nip in the air and the nights are drawing in faster than I’d like. On a positive, the bramble hedges are filling up with blackberries and the trees are full of apples. Our Pietrain boar isn’t daft and rubs against trees to make apples fall so he can hoover up the tasty snacks. There was a good turnout for the Whiteley Hey sale at NWA Kendal on Monday with a Beltex cross Texel shearling ram topping at £2,000. Not bad for commercial trade. What a week Texels have had! The Scottish National had a record breaking sale, grossing more than £1.2 million for the first time in the breed's history. Charlie Boden’s ram lamb, Sportsman A Star, topped the sale at 130,000gns. Worcester set a new centre record too, with a Texel shearling from the Peacehay flock topping the sale at 23,000gns. Welshpool also saw new female and centre records when a Texel gimmer sold for 7,800gns. In the prime rings, lambs dipped a little last week, but seem to have bounced back again at the beginning of this week and cattle remain a steady trade. Well last week went in a whirl. 24 hours in Farming (#Farm24), last Thursday, was a massive success with a huge increase of farmer involvement spreading the positive word of farming. Our two sows pigged. We have 20 piglets about the place who are full of inquisitiveness and are already keen to venture out on explorations! Unpredictable weather is still causing a problem for many who have grass out in the field waiting to be lifted. 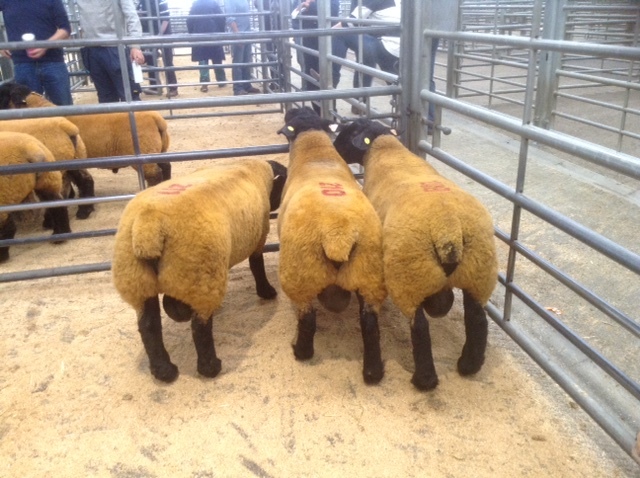 We didn’t do too badly being first in the ring selling our Beltex tups on Friday, we averaged just under £500. The sale was well attended and a new breed record for a Beltex ram lamb was set for Richard Wood’s ram lamb Kingledores Crusader which sold for 27,000gns. A top price of 18,000gns was achieved for a cow at the on-farm dispersal of the Wyndford dairy herd. The sale levelled at a strong £1,730 per life. While the weather might not be good for harvesting it has ensured there is plenty of grass about. I'm sure this is helping the store lamb and store cattle trade which both seem to be extremely strong, helped of course by good prices in the live ring. Last week I sold Suffolks for the first time at Stirling, which was a step up selling alongside established and renowned breeders. 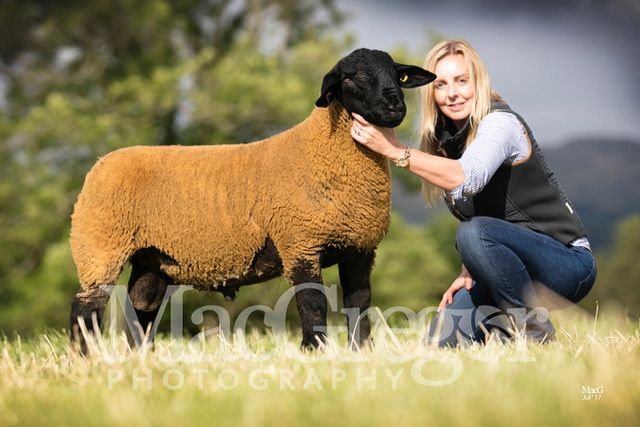 There were some serious prices made and topping the sale at 26,000gns was a tup lamb from the Solwaybank flock and 24,000gns was given for a Strathbogie tup lamb. I sold what I consider to be the best Suffolk tup I've bred to date for a more modest 1,500gns. None the less, I was delighted with what he made. More tup sales approach, making more work washing and dressing. On top of this, we've gone back to the start of the cycle and been AI'ing the Suffolk ewes. Surprisingly, for the time of year, prime sheep have seen a lift in prices at the beginning of the week and store lambs sales seem to be buoyant on the back of this. Prime cattle prices are also holding up well, so let’s hope it continues when cattle start to come in off grass. Dairy cattle trade seems to be booming as confidence in the sector improves, with some more milk price rises announced this week. We’ve had an amazing response to the Mart's the Heart Awards with more than 3,500 votes already. Click here to add your vote.